“The problem with Angelic Layer is, it apes the formula found in these other series to a tee, but you can’t actually play the Angelic Layer game, so what’s the point? It’s as if the director saw these other shows and didn’t understand that the story was written in order to sell collectable game cards. 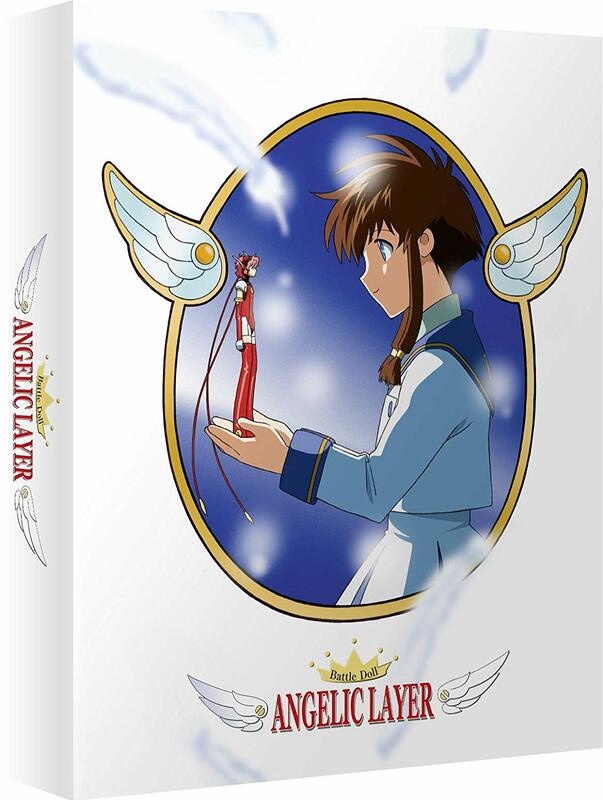 Essentially, you have something that’s written and designed like a marketing gimmick, without the product to back it up.” – Zac Bertschy’s Anime News Network review of the US DVD release of Angelic Layer back in 2003. The reason to begin this article with an extract from a review written by someone else (at the time when the series was made first commercially available in English) is to answer this complaint. When I first came across this comment, which was quoted in the Wikipedia article on the series, suggesting what the point was in a game anime that was not plugging an actual game, I thought to myself: “That is the kind of game anime I like.” Yes, there are some anime based on actual games like Pokemon, and some manga that created games like Yu-Gi-Oh!, but among the series that I dislike the most are ones that are just plugging a game for people to buy (see Cardfight!! Vanguard). The fact that this is story is about a game which doesn’t exist, primarily because of the technology, make its interesting. Yes, it would be nice to do, but like many things in the world of science fiction like travelling in time or meeting aliens, I can’t do it. It’s still fun to imagine it though. There is one other big reason to enjoy this series. It is by the CLAMP group. They are my favourite mangaka, due to the diversity of their work and the quality of their artwork. It should be noted however, that there are some differences between the anime and the original source material. Angelic Layer follows Misaki Suzuhara, who has moved to Tokyo to live with her TV reporter aunt, as her mother has been busy with work for years. Due to her lack of height, to her frustration everyone keeps thinking that Misaki is younger than she actually is. 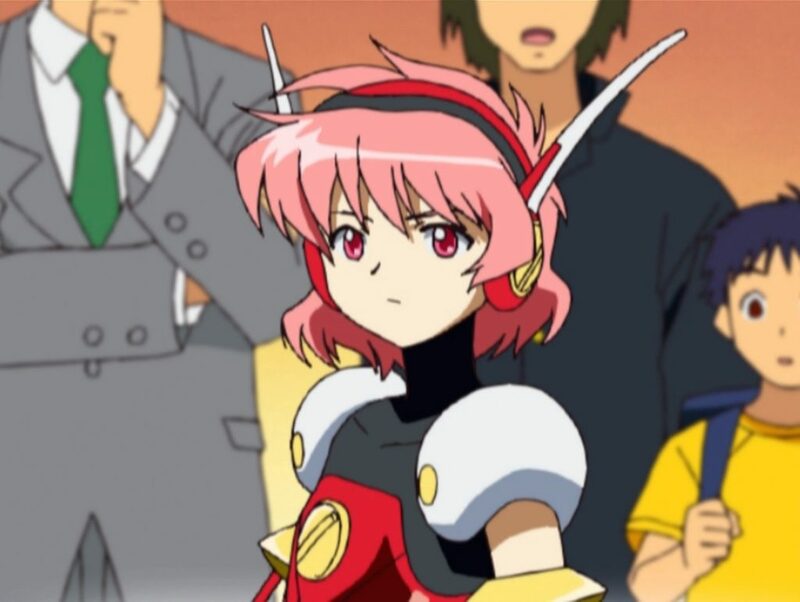 After leaving the station, she sees a television broadcasting a game called “Angelic Layer”. It involves human players, dubbed “Deus” using their mind to move dolls called “Angels” that fight in a special field known as a “Layer”. 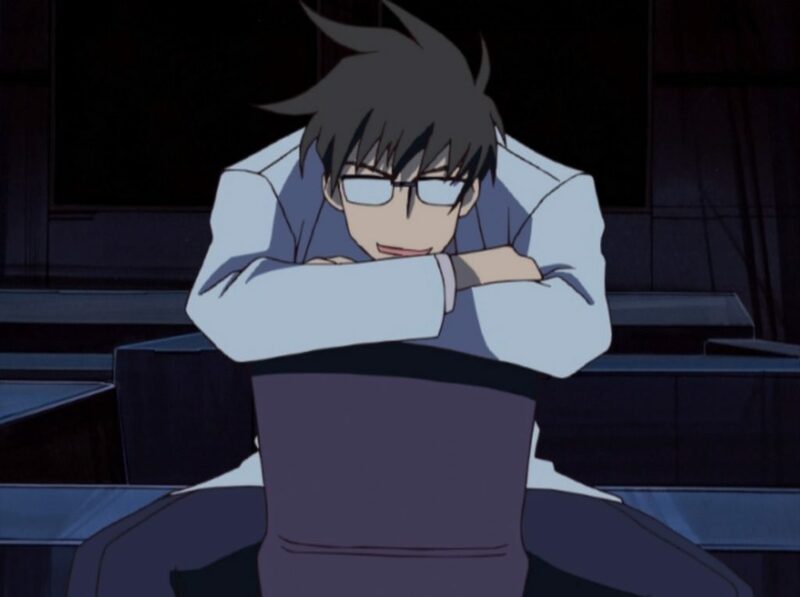 After witnessing a smaller Angel defeating a larger one, she starts to like the game, and then attracts the attention of a rather bizarre man in a lab coat who calls himself Icchan and who, unknown to Misaki but known to us viewers, is actually the inventor of “Angelic Layer”. 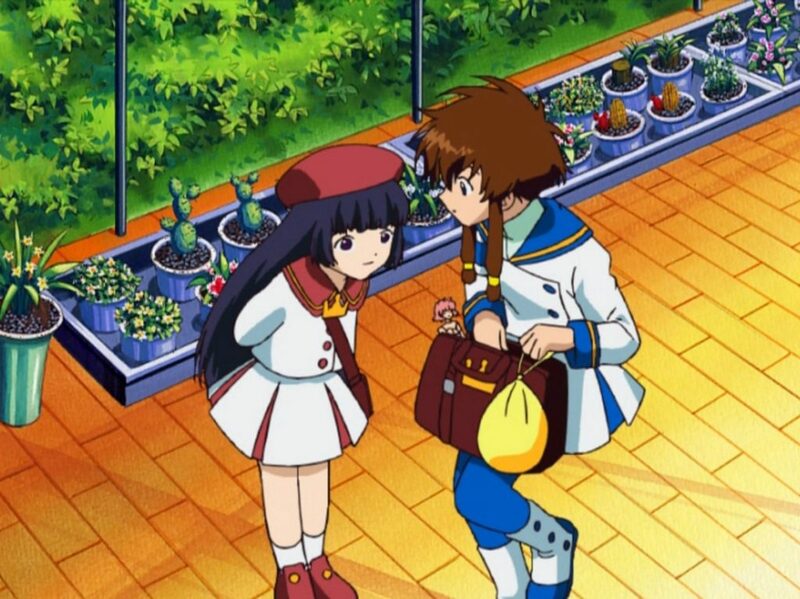 Icchan persuades Misaki to buy everything needed to play the game, including her own Angel. Inspired by the small Angel she witnessed in the fight and her own diminutive stature, she makes her own small, lightweight and fast Angel that she names Hikaru. At her new school, Eriol Academy, Misaki quickly makes some friends, namely Hatoko Kobayashi, a kindergartener who is an expert at the game; Hatoko’s older brother Kotaro who is in the same class as Misaki; and Tamayo Kizaki, another classmate whose favourite hobby is performing martial art moves on Kotaro when he is least expecting it. With help from them as well as Icchan, Misaki soon gains the right to take part in a tournament despite being a rookie, and quickly begins to ascend the ranks. Among the other players of the game who are watching from the sidelines are Misaki’s mother, Shoko, whom we learn early on has not been busy with work, but has been ill. The reason she has not been with Misaki all this time is that she is wheelchair-bound and suffering from an illness called “Degenerative Neural Syndrome”. Thus, part of the story is not just Misaki’s progress, but also Shoko trying to overcome her illness while being in the shadows – except when she is playing the “Angelic Layer” herself to help her recover. As with any series originally made by CLAMP, the artwork is the main draw to Angelic Layer, while maybe not as striking as the work in some of their other series, it is still pleasing to the eye and visually appealing. It is not too garish, although there are still some odd flourishes of extravagance, in particular when Misaki throws Hikaru into the layer, when for a moment you might think it is akin to a magical girl transformation. Mind you, that is arguably appropriate, because while it is not mentioned in the anime, in the manga Hikaru is named after a character in another of CLAMP’s works, the magical girl series Magical Knight Rayearth. Other than the look, the voice work is also good. Not just the Japanese dub; I even don’t mind the English dub. While I tend to be annoyed by most dubs I think Jessica Boone voices the part of Misaki Suzuhara well. Angelic Layer is not perfect however. There are times when this sci-fi series does feel dated, whether it is due to the use of old technology when they watch a VHS, or regarding political correctness such as in the arena when they use “ring girls” – mind you, given that the CLAMP group behind the series are all women, maybe this is not too bad. There also some big differences between the manga and anime, chief among which is the role of Shoko, who in the manga is perfectly able-bodied and has indeed just been working away from Misaki all this time. Another thing that’s slightly odd is some of the music, composed by Kouhei Tanaka, who also does the music for One Piece. One particular piece of incidental music sounds oddly familiar and similar to a tune I know, before moving into something entirely different. Nothing major, but the opening to that piece of music to my ear sounds like the theme to The Pink Panther. Every time I hear it I want to hum the tune before it changes entirely. In terms of the themes, there is one opening track “Be My Angel” by Atsuko Enomoto; and two endings, “The Starry Sky” by HAL and my personal favourite, “After the rain” by Moeko Matsushita. This collector’s edition has plenty of extras to go with it. On the discs there are the textless opening and closing for all three themes; commentary on selected episodes with the English dub cast, including one video commentary; and a 10-minute film of production artwork. Annoyingly, the one big extra I most want to see but was unable to was a 40-page artwork book – because it’s a CLAMP series, and thing you most want to see is the art. Angelic Layer is certainly a fun watch, with nice and cheerful characters and great art to match. Another Anime UK News review by Darkstorm of the earlier ADV release of Angelic Layer can be read here.